Delhi Greens, in collaboration with Miranda House (DU) and with support from dataserv APAC invite the youth of Delhi and India to the 3rd Delhi Youth Summit on Climate Change (DYSoC 2013), to be held on the 24th and 25th of August 2013 at Miranda House, University of Delhi. Project partners for the Summit include Compassionate Living, Vindhyan Ecology & Natural History Foundation and the Centre for Environment Education (CEE) supported South Asia Youth Environment Network (SAYEN). The atmospheric carbon dioxide concentration has now exceeded the 400 parts per million (ppm) level indicating that human impacts on the environment are significantly more than envisaged. This is an alarming bell for all nations and individuals and the youth – who will bear the maximum brunt of this change – need to be more active than ever before. At the local level, air quality in Delhi is one of the worst among megacities while the surface and ground water pollution is now a major threat to the life and property of citizens. The landfills in Delhi are already overflowing and the number of vehicles exceed existing road capacity considerably. The very sustainability of the urban growth of Delhi is now under threat, which directly threatens contemporary urban growth and the future of the youth. This is the backdrop around which Delhi Greens is calling for the 3rd Delhi Youth Summit on Climate (DYSoC 2013) at, and in collaboration with, Miranda House (DU). DYSoC 2013 will bring together the youth from across the capital city and from all across India and engage, inspire and train them to address the various urban environmental challenges in the wake of climate change. The two day Summit will take place on the 24th and 25th of August, 2013. 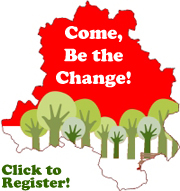 If you are a young person, are concerned about the rising global carbon dioxide concentration, feel for Delhi, want to work or are already working for protecting and preserving ‘our common environment’, we invite you to register and participate in DYSoC 2013, equip yourself and help develop a youth charter for ensuring urban sustainability of India’s National Capital Territory of Delhi. DYSoC 2013 is sponsored by dataserv APAC and citizens of Delhi. Last date for registration: August 16, 2013.